Newt Gingrich once said that an EMP would "destroy the country's ability to function." If an atomic weapon were to be detonated high up in the air, the resulting explosion wouldn't be powerful enough to kill people on the ground (at least, not in large numbers). But the electromagnetic interference would be powerful enough to shutdown electronic grids. 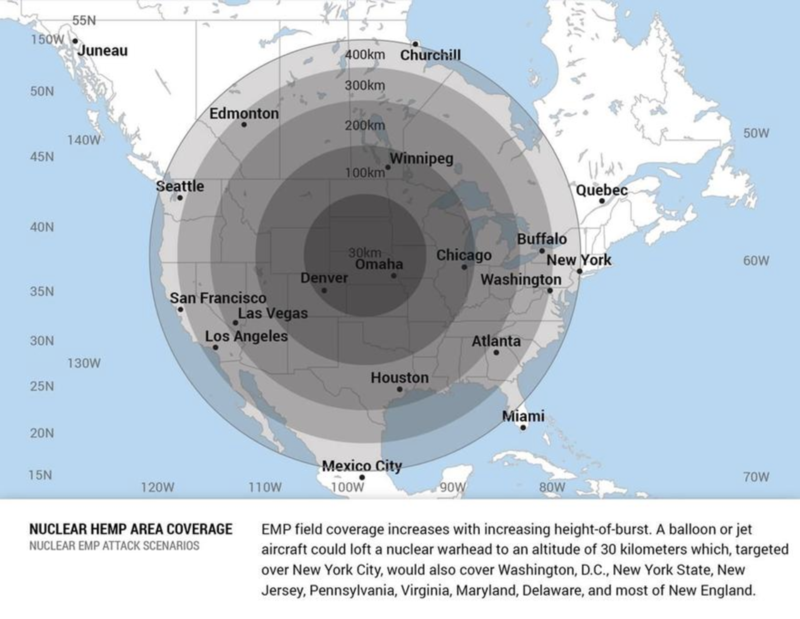 In addition to the man-made threat, a "solar tsunami" could have a similar - if less dramatic - impact as an EMP attack. The worst forecasts suggest that up to 90% of Americans could die in the aftermath of an EMP attack, after the bulk of the country's electric grid fails leaving essential services in the dark. Hospitals would soon shut down, clean water would run out, and millions of Americans would quickly run out of food. Considering what's at stake, it probably makes sense that the US does everything in its power to prepare.